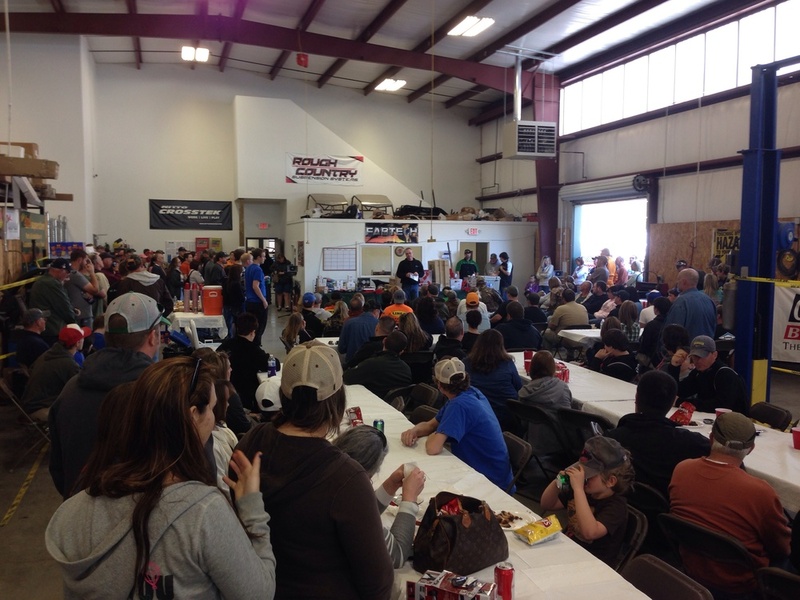 In case you missed in the Fourth Annual Crawling for Reid event on Saturday, March 17th at Adventure Off-Road Park in South Pittsburg, TN. Many SFWDA members were in attendance and our President Mr. Ray Stanley presented this very special $2,500 grant to the event organizers and the Underwood family in support of the "Crawling for Reid" event. SFWDA can't express how much we love to support great causes like this one. We hope to do the same again next year, and maybe we'll see you there. Overall we're told they had a very successful event with over 2000 people in the gates and $178,000 dollars raised for Reid Underwood and his Doctor’s (Dr. Jakub Tolar) research foundation at the University of Minnesota. Please Provide Your Valuable Feedback now. For those who participated in Trailfest 2016 please take a few minutes and complete this brief survey so we can accurately gauge your feedback and continue improving our events. Our surveys are completely Anonymous. How about a chance to win a FREE Weekend pass at AOP as a consolation prize? Register before March 25th and you'll be entered into a random drawing for all early registration participants. Thank You! You will also be entered. Each registered vehicle will be issued a unique identifying event sticker along with their registration pack. Various benefits are available to those who register early so why not show it off with pride. New & Enhanced Education Seminars & Demos will be available on a limited availability. Timed Uphill Multi-Class Challenge, everyone can have a shot against the clock up the hill. Bring what you got and compete among your equal level rig for a prize & trophy. Expedient Raffle Awards with more amazing prizes from Top brands and Sponsors. More Food Vendors, including more options, more often. Today is not only December 1st, but is also marks only 150 days until TrailFest 2015! 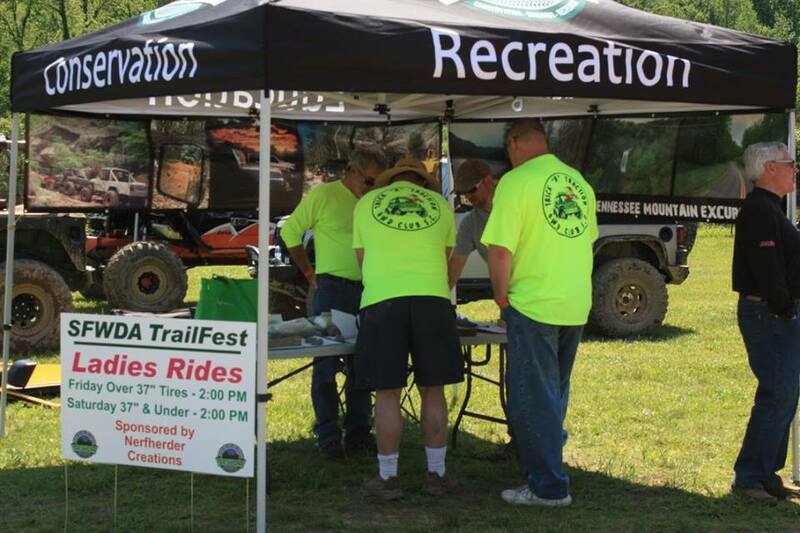 Mark your calendars now for May 1-3, 2015 at Adventure Off Road Park. We're coming back to AOP for the second year now and we fully intend to put on one our best ever TrailFest Event. We beat our attendance record last year but now let's all see if we can blow Tom and the folks from Tom's 4x4 and AOP away in 2015. We have a holiday Ticket Special soon to be announced on advance ticket purchases, so to take advantage of the very best price available for 2015 please stay tuned for further announcements. 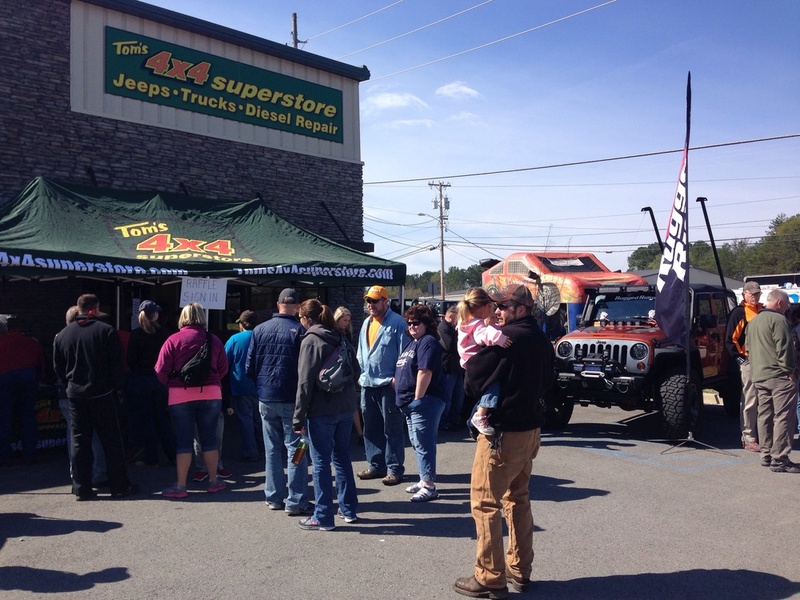 At Tom's 4x4 Superstore in Chattanooga, TN hundreds of enthusiasts gathered as Tom and his wife put on a Customer Appreciation Day open to the public. 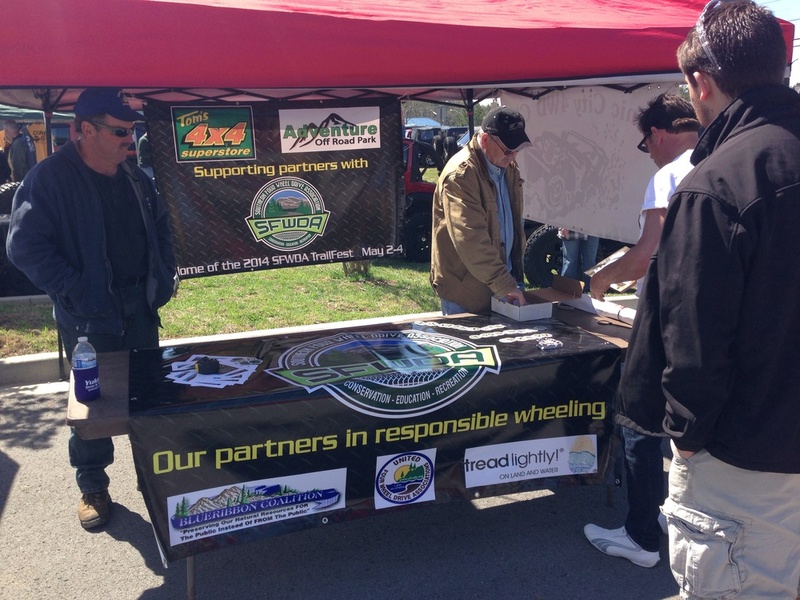 Several members of SFWDA were there to connect with many new and regular Off- Roaders browsing around meeting the shop staff and the invited vendors. They even hosted a free lunch for all who came out. Inside his shop their deals all around as the day continued the crowd continued to grow, browsing the showroom and vendor booths. Tom himself then gave a memorable mention to Southern and what were all fighting for. Then they all gave away a bunch of free gear in their raffle. 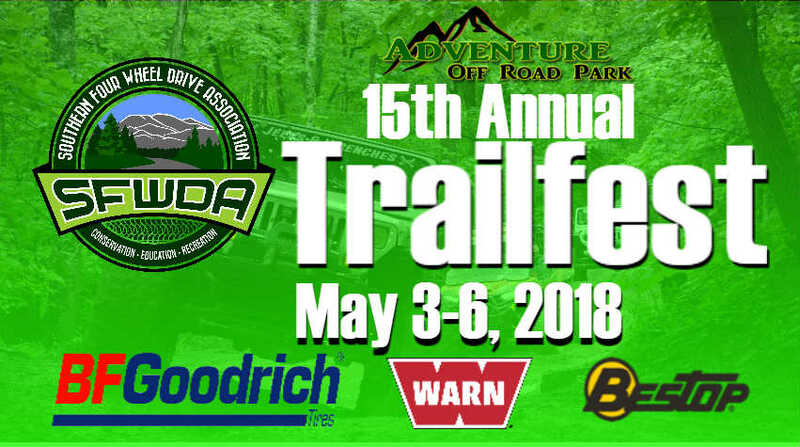 Immediately following the raffle we all headed out to enjoy a day on trails at Adventure Off Road Park. 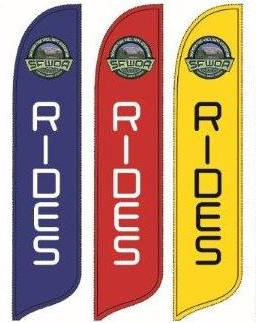 trails open for riding & support our local parks.